Mumbai, 20th February 2017: After hosting three successive truck racing championships in the country, Tata Motors will host the season 4 of T1 Prima Truck Racing Championship on Sunday, March 19, 2017. 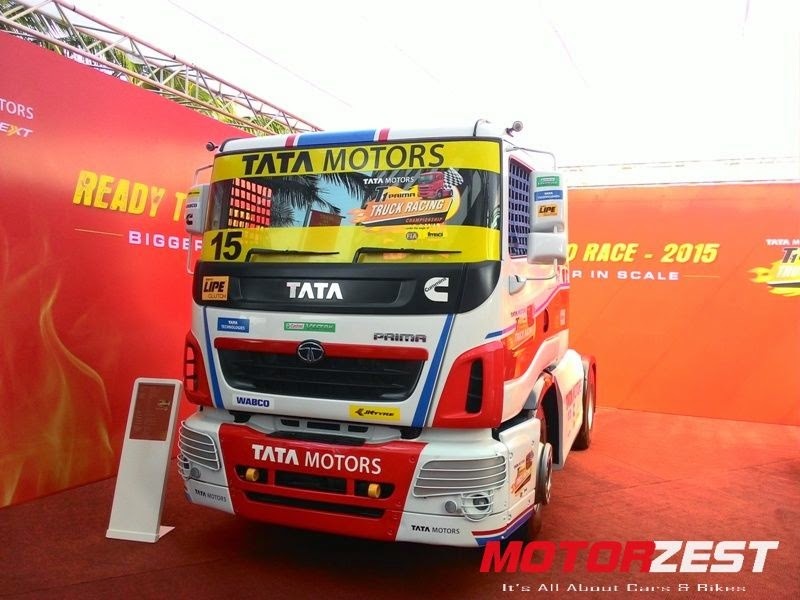 Considered as the F1 of Truck Racing in India, this championship is a grand spectacle of Tata Prima race trucks battling it out against each other, at the Buddh International Circuit (BIC), Greater Noida. Conducted under the aegis of FIA & FMSCI, the T1 Prima Truck Racing Championship will feature Tata Prima trucks, built for the purpose. A one-make championship, T1 Prima Truck Racing will have specially tuned Tata Prima race trucks competing against each other for top honours. India’s first truck racing championship is being organised by Madras Motor Sports Club (MMSC), with safety and performance standards as per the guidelines of the British Truck Racing Association (BTRA). One of the most awaited events on the Indian motorsports calendar, Season 4 of the T1 PRIMA Truck Racing Championship 2017, will further reinforce Tata Motors commitment of introducing Indian truck drivers to the sport. This is in line with the company’s strategic objective of making the profession of truck driving aspirational and at the same time act as a catalyst to induct drivers into the commercial vehicles profession, addressing the problem of driver shortage. drivers from Season 3. Like in the earlier seasons, the championship will continue to host experienced international drivers representing six teams.